Build Your Own Right Triangular Prism! Students: The applet below lets you build a right triangular prism with specifications that you can input. Simply enter the 3 side lengths of the triangular prism's (triangular) base. Enter the height of the prism as well. Explore! 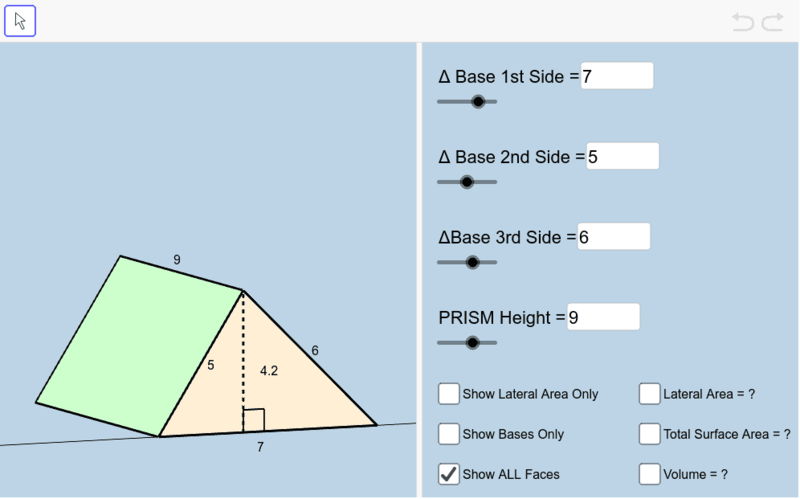 You can also use this applet to assess results of any problems you complete that ask you to find the triangular prism's lateral area, total surface area, and/or volume.